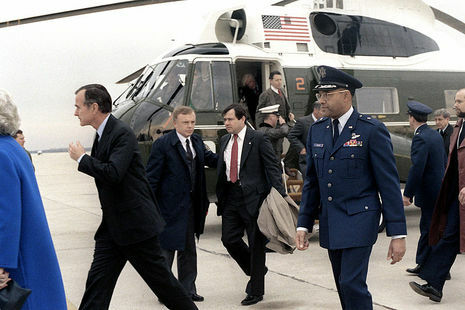 In 1986, a scandal shook the administration stemming from the use of proceeds from covert arms sales to Iran to fund the Contras in Nicaragua, which had been specifically outlawed by an act of Congress. 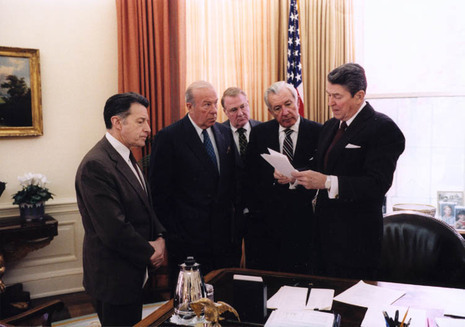 The Iran-Contra affair became the largest political scandal in the United States during the 1980s. The International Court of Justice, whose jurisdiction to decide the case was disputed, ruled that the U.S. had violated international law in Nicaragua due to its obligations not to intervene in the affairs of other states. 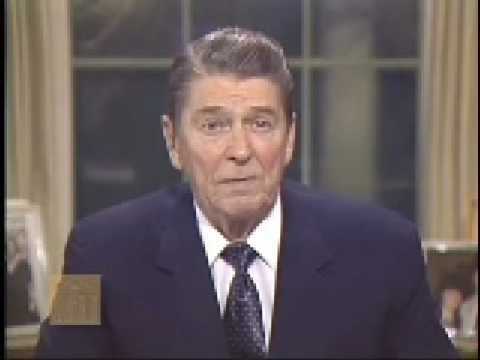 President Reagan professed ignorance of the plot's existence. 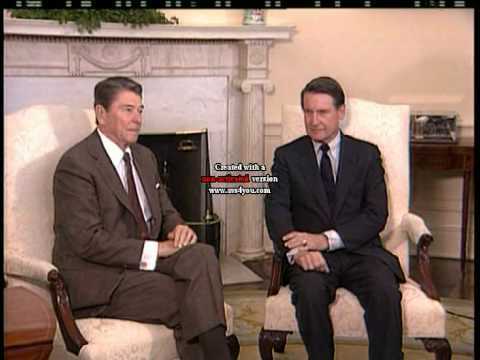 He appointed two Republicans and one Democrat (John Tower, Brent Scowcroft and Edmund Muskie, known as the "Tower Commission") to investigate the scandal. 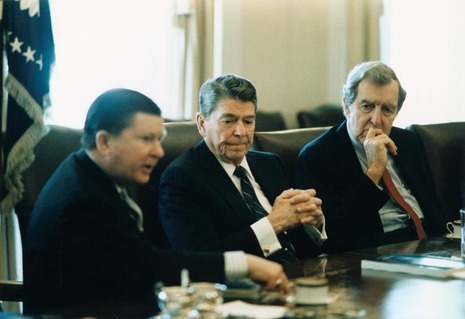 The commission could not find direct evidence that Reagan had prior knowledge of the program, but criticized him heavily for his disengagement from managing his staff, making the diversion of funds possible. A separate report by Congress concluded that "If the president did not know what his national security advisers were doing, he should have." Reagan's popularity declined from 67 percent to 46 percent in less than a week, the greatest and quickest decline ever for a president. The scandal resulted in fourteen indictments within Reagan's staff, and eleven convictions. 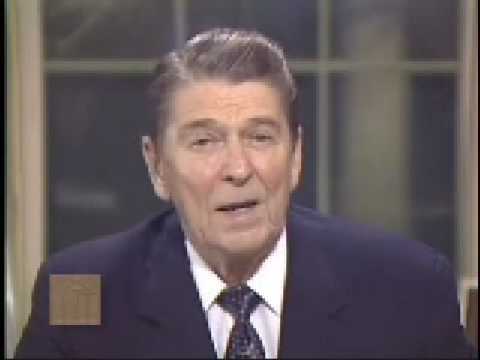 Many Central Americans criticize Reagan for his support of the Contras, calling him an anti-communist zealot, blinded to human rights abuses, while others say he "saved Central America." Daniel Ortega, Sandinistan and current president of Nicaragua, said that he hoped God would forgive Reagan for his "dirty war against Nicaragua." In 1986 the USA was found guilty by the International Court of Justice (World Court) of war crimes against Nicaragua.